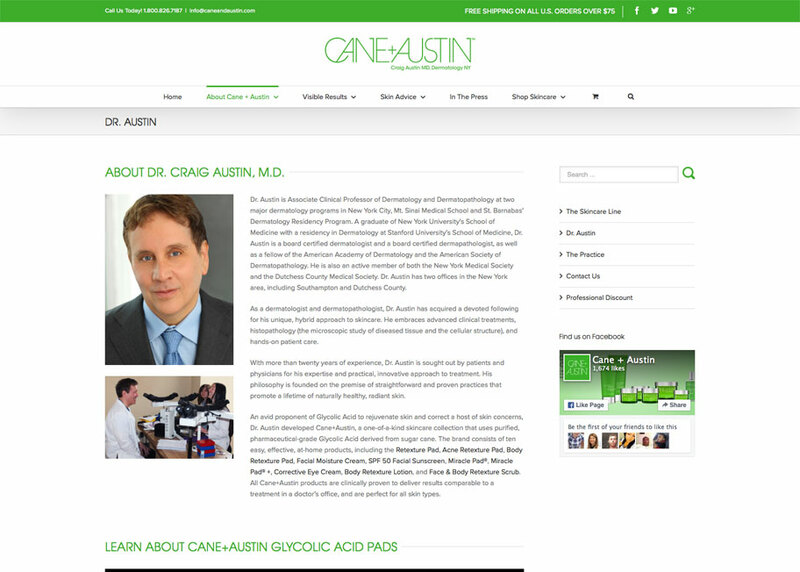 The Cane+Austin advanced skincare line, by Dr. Craig Austin MD, Dermatology, is made with unique glycolic acid derived from sugar cane. We created a brand positioning strategy, brand and packaging update to strengthen their launch in Sephora stores. 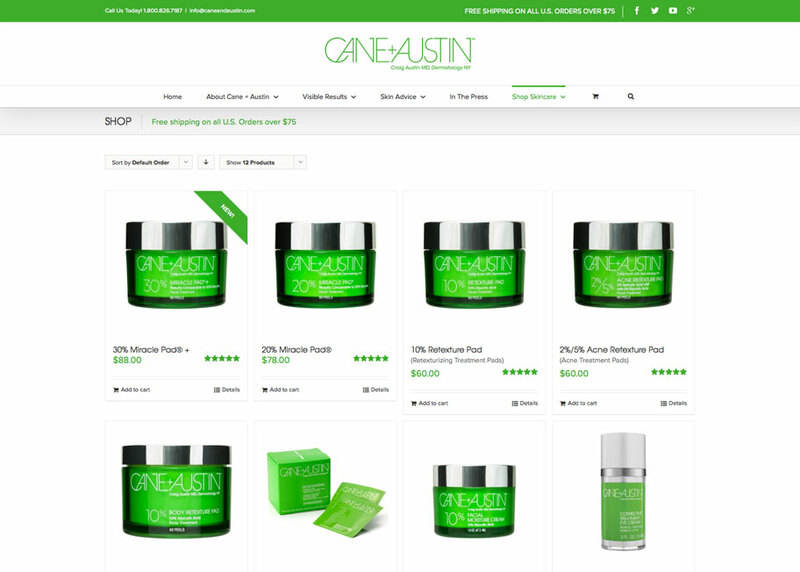 The brand update and messaging was extended to an upscale point-of-sale display for select Sephora locations and to caneandaustin.com, an easy to shop, e-commerce and mobile responsive website. This sophisticated package design has a clean, clinical look that clearly communicates the superior benefits of glycolic acid along with the percentage of glycolic intensity. 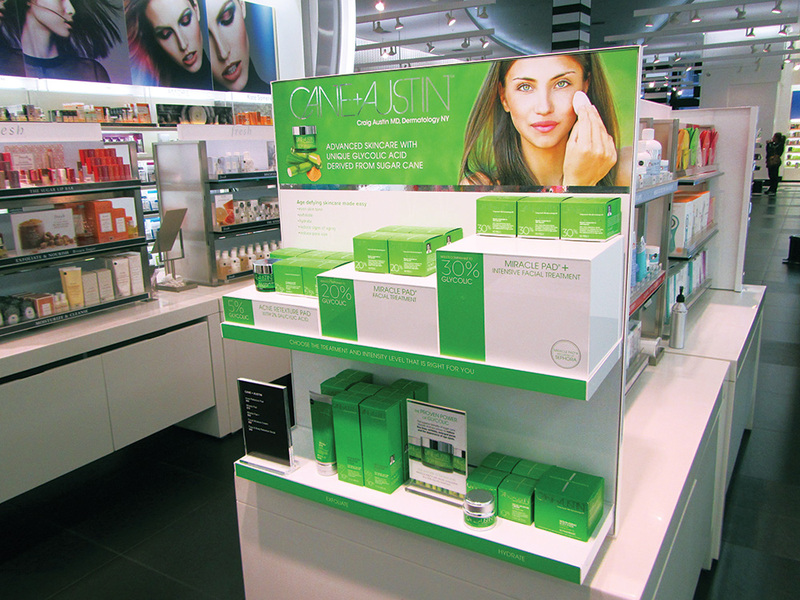 point-of-sale display design and graphics for Sephora stores demonstrate the levels of Glycolic available in each treatment, making it easier for shoppers to choose the right percentage for their skin. 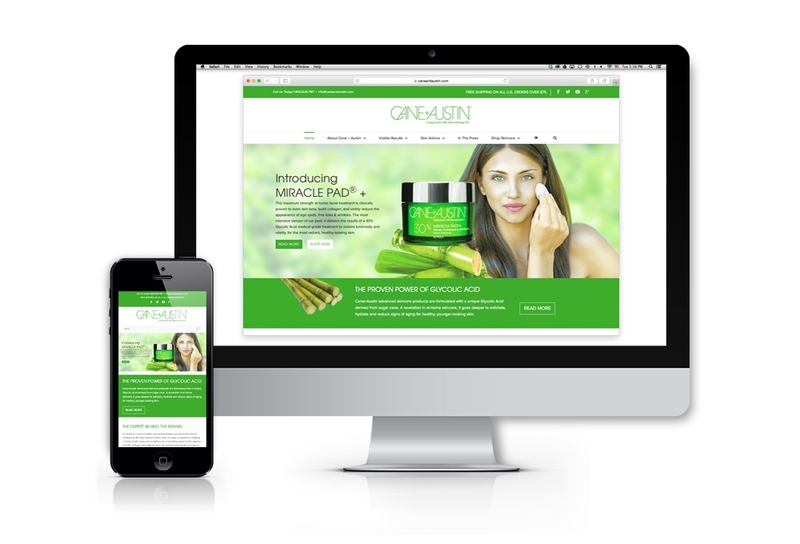 An easy to shop, mobile responsive website for Cane+Austin skin care where you can find out more about the benefits of Glycolic acid, view clinical results and get skin care tips and advice.